A gorgeous waterfront estate in River Hills. River Hills on Lake Wylie is one of the area’s premier lakeside communities with nearly 1,100 single-family homes and condominiums. Built in the the 1970s by Hilton Head’s Sea Pines Group, the gated community is built around the championship golf course of River Hills Country Club. The neighborhood has tennis courts, a fitness center, swimming pools, community gardens and walking trails for residents to enjoy. Homeowners also have lake access via a private, full-service marina and boat slips for owners without waterfront access at their home. River Hills is on the South Carolina side of Buster Boyd Bridge on Hwy 49 and is only 30 minutes from Rock Hill, Uptown Charlotte, Gastonia or Charlotte-Douglas Airport. The award-winning Clover School District serves the neighborhood. For more complete neighborhood details, see this neighborhood profile. 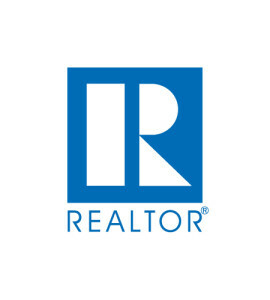 An average of 5.3 homes sold each month in River Hills during the last 12 months for an average sales price of $324,532. There are currently 27 homes for sale in River Hills, ranging in price from $200,000 to $830,000. Nine of the homes are already under contract as of Feb. 24. Six waterfront properties are listed for sale, including this beautiful 3 bedroom, 2 bathroom home that is behind River Hills gates but technically not part of the property and therefore not in the HOA. This is a fantastic way to live on the water in a secure location without HOA fees! 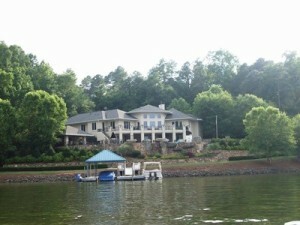 This seller is motivated, and it’s a wonderful opportunity to live on the water! Twenty-seven homes listed represents approximately 5 months of inventory for the neighborhood, which is less than the 7 months inventory currently for both Lake Wylie and York County. The highest price of a home sold in the past year was $610,000 for a 5 bedroom, 4 bathroom 5,400-square-foot home on the golf course. The lowest price was a townhome that sold for $137,400. On average, River Hills’ properties sell for 97% of list price. River Hills is a fantastic property in a prime lakeside location. Its diverse home styles and activities attract all types of people and families. There is something for everyone in River Hills!